Primo’s Anchovy Stuffed Olives are unique in that for these they choose to use the smaller Spanish olive. Their sophisticated flavor combines well with quality salty-sweet marinated anchovy. These are complex flavors which marry well - a flavor explosion in your mouth, if you will! 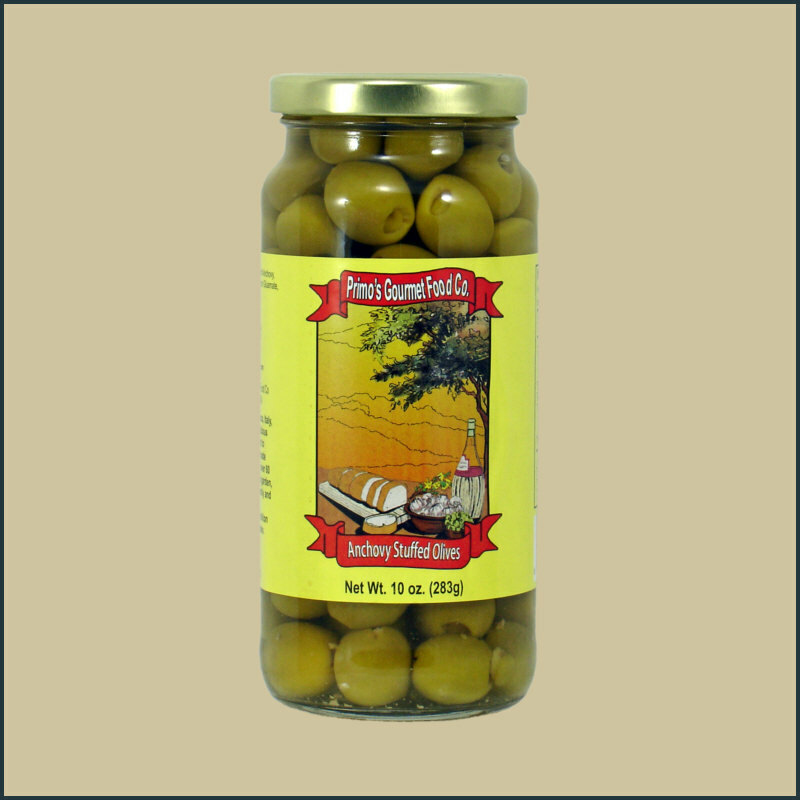 It is the quality that makes their gourmet stuffed olives so special. 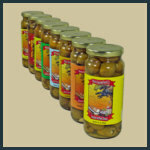 Premium Spanish olives are hand stuffed with choice ingredients. You will find these wonderful olives to be sublime in salads, martinis, and as a crowd-pleasing appetizer. Add a crunchy zing to antipasto plates, or the ultimate garnish to a Bloody Mary. Our olives are packed in a salt, vinegar and water brine. Serve them chilled for optimal taste. 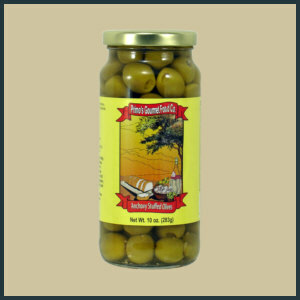 Spanish olives are smaller, flavorful, sophisticated and nutritious, giving them a delightful crunch & taste. They are perfect for parties and professional kitchens alike.